Home \ MOR PPM, Inc. 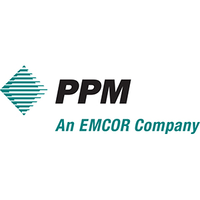 Backed by nearly 40 years of experience and one of the industry’s leading safety performance records, PPM helps clients address the complex challenges inherent in today’s manufacturing and industrial facilities environment. Our wide experience in meeting industrial plant maintenance needs enables us to implement systems and processes that keep your facilities and equipment running at consistently optimum levels. A key factor in our success is our ability to self-perform virtually all of our plant maintenance services, shutdown services, and capital construction services. This enables us to maintain strict control of schedules, costs, and quality, so we’re always on time and on budget with projects that meet our clients’ highest expectations. At the same time, self-performance allows us to keep our capabilities always up to date through ongoing training programs and by responding in a timely manner to new regulatory developments and technological advances. Whatever the challenge, we have the extensive expertise, broad experience, and wide range of capabilities needed to satisfy today’s most complex equipment reliability and plant production objectives.